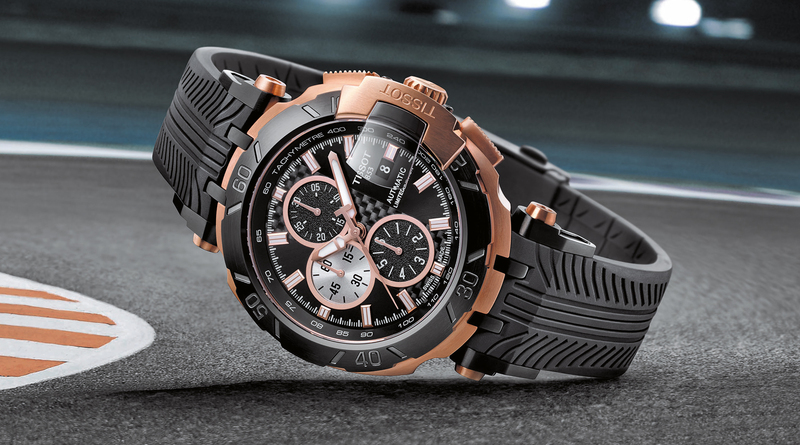 Almost every year Tissot launches a limited edition of their MotoGP model from the T-Race collection. So you can predict its name: Tissot T-Race MotoGP Automatic Limited Edition 2017. Tissot makes 2,017 pieces of this latest GP chronograph to celebrate their partnership with MotoGP. 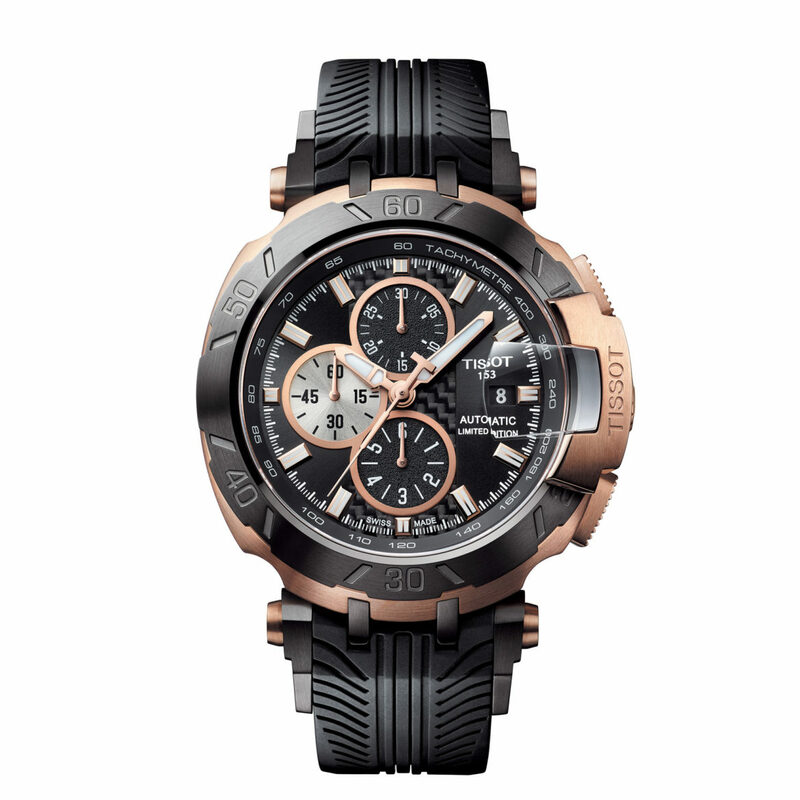 Like all MotoGP models it looks massive: 45 millimeters wide, 47.25 millimeters high. 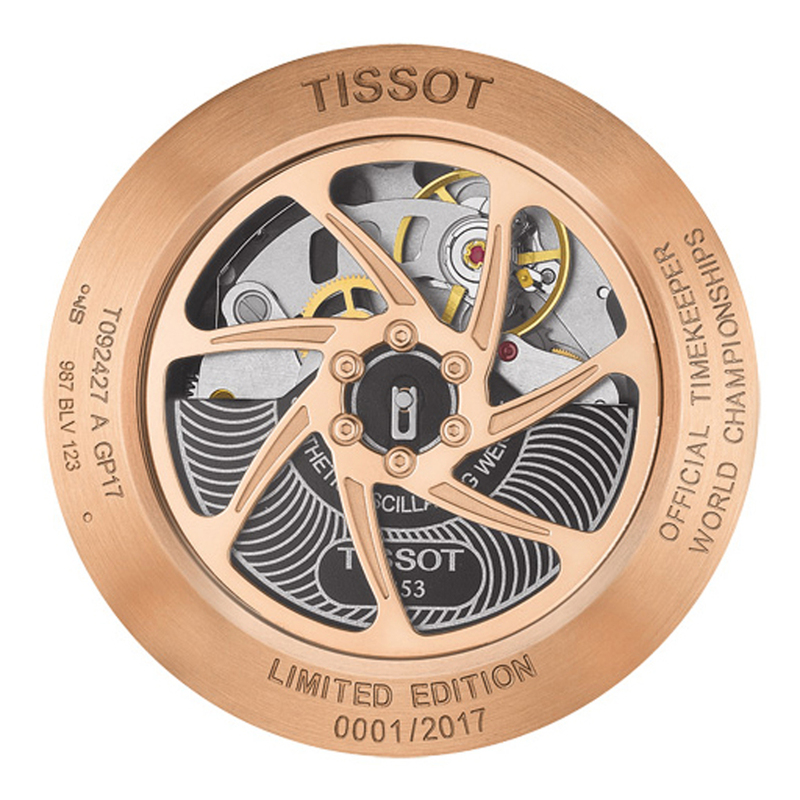 The bezel has the shape of a brake disc and seems to hold the magnifying-glass for the date window. 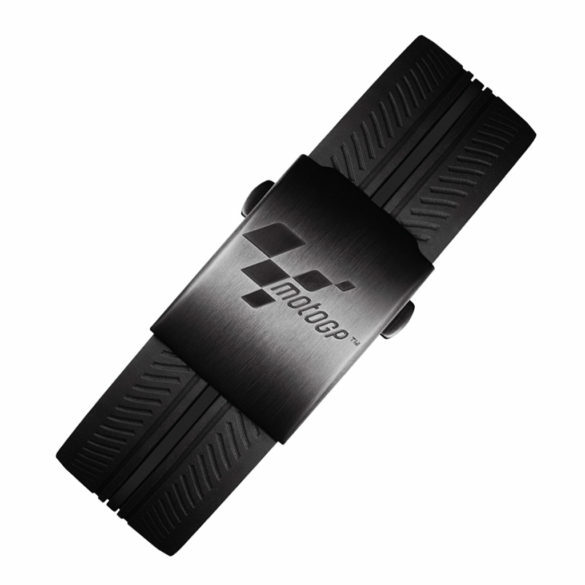 The two big pushers are shaped like bike footrests and the rear suspension is ‘illustrated’ in the bracelet’s attachment to the case. The back case is transparent and looks like a rim of a motorbike while the surface of the oscillating weight looks like tyre treads. On top of it, it comes in a special helmet box. 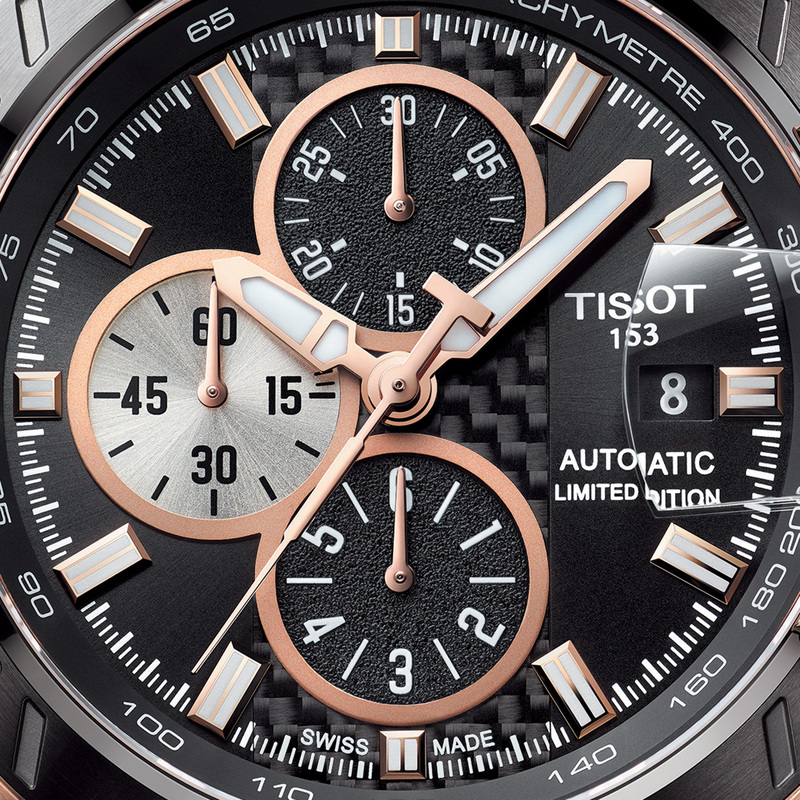 The Tissot T-Race MotoGP Automatic Limited Edition 2017 houses the automatic ETA C01.211 movement. 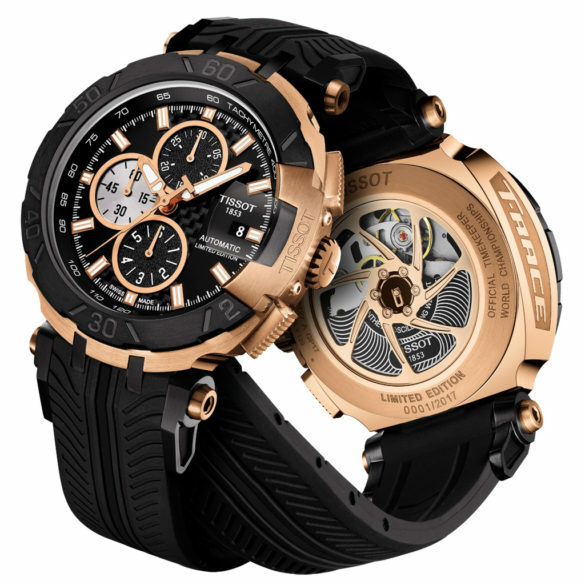 For MotoGP fans this is an affordable and fairly priced limited edition automatic watch.